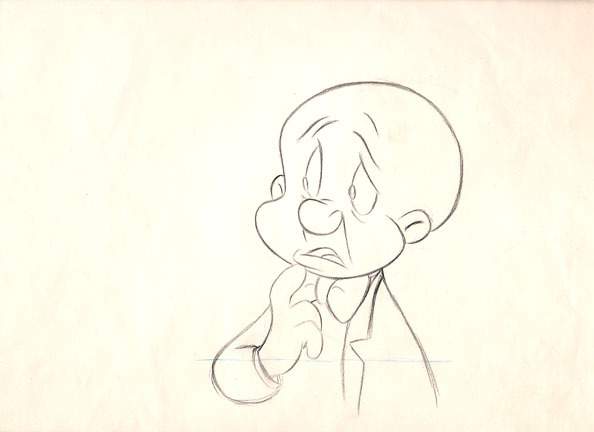 Elmer J. Fudd. Millionaiwe. I own a mansion and a yacht. I’ve been a home ownew, an opewa singew and a mad scientist, a show pwomoter, a pwivate detective and a huntew. Now I am simpwy a millionaire. I have many but I would say my favowite project I worked on would be “The Hair Brained Hypnotist”. Which awwoed me to finawy give that wascal Bugs Bunny a taste of his own medicine! I was drawn to it early in life. I am owiginawy from Bwookwyn, NY. but wivved most of my aduwt wife in Howwywood. My fiwst film was “Confedwete Honey” and it was a wot of fun and I also stawwed in a film called “A Wild Hare” which is what most peopwe considew my fiwst film, but I got my fiwst big bweak in a fiwm cawled “Good Night Elmer” I was paid 65 dowwars for dat role… heheh a wot of money in dose days! Well, I get up and bwush my teeth although sometimes my toofbrush is not dere because somebody has stowen it. I will den gwab the newspapew and wead it wif my coffee. I wike to wead about what’s going on in Howwywood. Den I will usuaway go for a swim but sometimes dat wascawy wabbit will dwain the pool befowe I get a chance. From dere I will usuawwy pwactice my singing as I am an acompwished Tenor. I wewwy wike it when I get to hunt wabbits and ducks but it’s vewwy satisfying to make the childwen waugh. When day wascawy wabbit gets the best of me. Tewephones, penciws, papew, a car, and of couwse shotguns. Oh, oh oh and buwwets! Yes wots and wots of buwwets. Wel, I feew wike a fool quite often and I do not wike it when a simpew woodwand cweatuew gets the best of me. But dats just who I am and ovew da yeaws I have gwown comforable wif it. Oh, many! Mew Bwanc, Arthur Q. Bryant, Bugs Bunny, Daffy Duck, Foghorn Weghorn, Leon Sweshinger. Sylvestew da cat. I’ve even met Chick Jones, fwiz fwewing, Wobewt Cwampett and Wobewt McKimson. It would hafe to be my role in Doggone People. My voice was all scwewed up. Wight now I can be seen working on da Wooney Tunes show on Cawtoon Netwowk. Weww, I am told I am a wovewy singew and I am quite ahndy wif a shotgun. Most of the time. I’m also a faiwy good animatow and dwaftsman and even made my own cartoon once cawled “Rabbit Rampage”. Tagged 2D Animator, Cartoon Network, Cartoonist, Warner Bros..
Mike? Why are you replying as Elmer? Was this not really Elmer J. Fudd? Were we lied to?! Fooled if you will?! Nah, he asked me too respond on his behalf as he’s very busy these days with appearances at Magic Mountain and this new Cartoon Network series. It was positively the real Elmer J. Fudd. I swear!